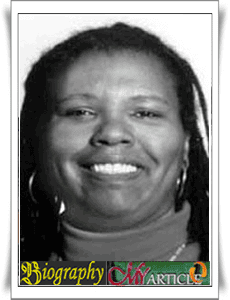 Born on January 25, 1950 in New York, Gloria Naylor is a woman who works as a novel writer / novelist. He mixed blood descendants of African-American couple named Roosevelt Naylor and Alberta McAlpin. A love for reading is transmitted by the mother. Although her mother is not how educated, but he continued to push Gloria Naylor or can be addressed by name Naylor to read a book or journal. After graduating from high school equivalent education level up, Naylor indirectly continue to pursue the course, but he prefers to work in a Jehovah's Witness in advance. After 7 years of working there, Naylor resigned. Naylor earn a bachelor's degree at Brooklyn College in 1981. The first novel he wrote titled "The Woman of Brewster Place", which tells about the life of 7 women with different characters and backgrounds who live and socialize in the African-American community. The novel was published in 1982 and in the following year, 1983, he wrote the novel, which won the award for the National Book Award (National Book Award) with the first novel category. Subsequently in 1989, the novel was filmed by Harpo Productions Oprah Winfrey belongs. The film's title is the same as the title of a novel by Naylor. In 1985, Naylor wrote a second novel titled "Linden Hills" which was also the thesis of Naylor to earn a Master of Art (MA) at Yale University. The third novel from Naylor titled "Mama Day" tells of the experiences that are owned by African Americans living in the South. Aside from being a writer, Naylor is also an educator and taught at several universities in the US such as: New York University, Cornell University, George Washington University, and Boston University, USA.